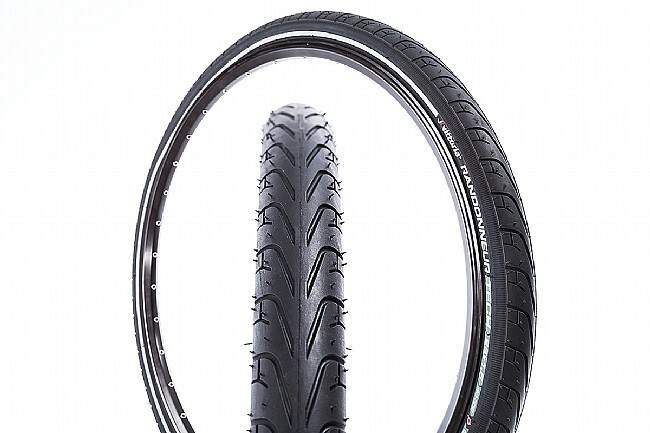 Designed for comfortable riding on your next long-distance bike tour, the Vittoria Randonneur Tech G+ Tire is as comfortable on fresh asphalt as it is on washboard gravel. This rigid bead tire features Vittoria's unique Graphene G+ compound, providing natural puncture resistance without affecting traction, speed, or comfort. A gentle tread provides all-terrain traction, digging in for on or off-road cornering. 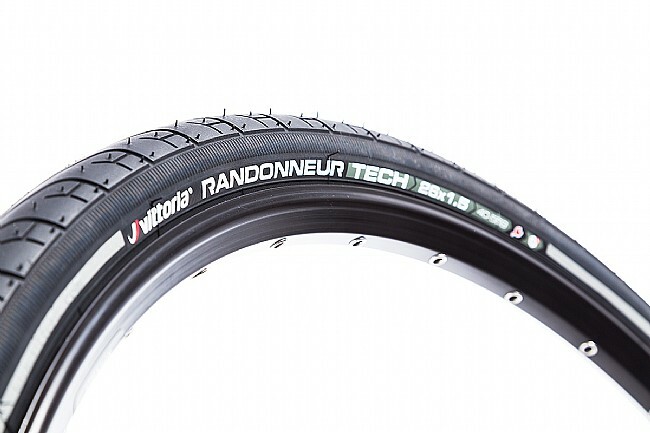 The Vittoria Randonneur Tech G+ 26" Tire is available in 1.5" width. Also available in 700c, 20", and 27.5 (650b) sizes. Gentle tread for all terrain, all condition traction.